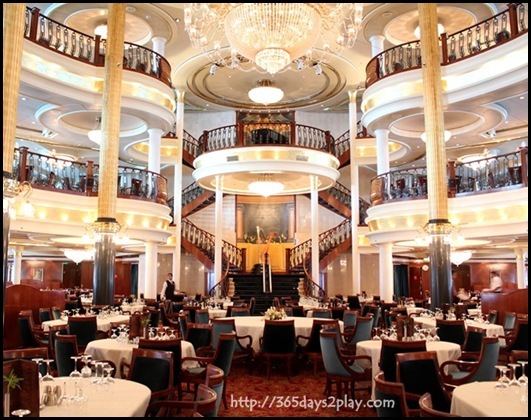 Dining on a cruise ship must surely be one of the highlights of the cruise itself. It seems to be a pretty grand affair too. There are a number of dining areas to choose from, ranging from the opulent looking main dining rooms all the way to the casual Johnny Rockets Restaurants, aka Billy Bombers lookalike. Interestingly, there is no extra cost in dining in my favourite Carmen restaurant, which looks like the most atas dining room there is. Yet, there is a surcharge to dine at Johnny Rockets. I suppose when you’ve been on the ship for more than a week, you will yearn for something different. 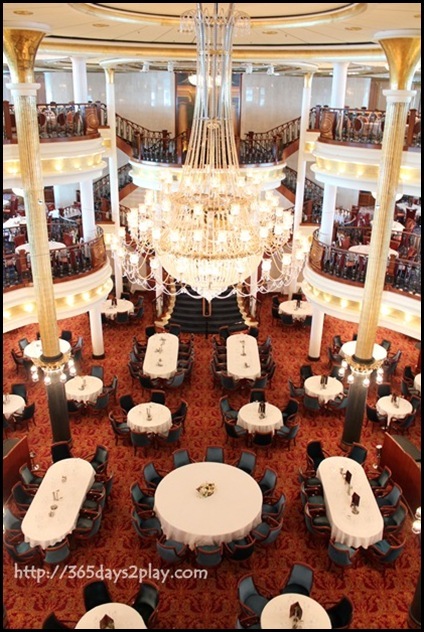 This is the Carmen dining room. Does it not look super grand? It kinda took my breath away when I first stepped in! Makes you feel like you’re in a bygone era. 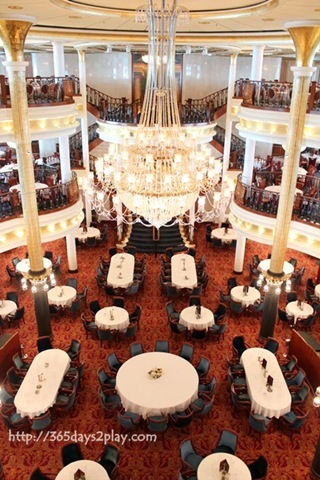 Cruise passengers can dine here without further charge! The cheapest tickets will get you a table on the 1st floor, and you will be assigned the same table and same waiter throughout. View from the top level, which is reserved for those staying in the suites.